Roger in the left-hand seat of VH-XBA at Southend. Captain Roger (Ridgeback) Walter passed away in Sydney on 4 April 2015. 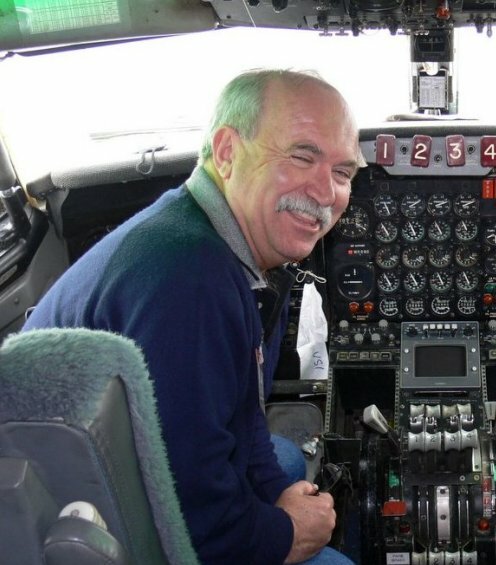 Roger will be remembered as one of the pilots who brought VH-XBA home to Australia in 2006. Squadron Leader Roger Gilmour Walter, OAM For meritorious performance of duties as a Boeing 707 Qualified Flying Instructor for Number 33 Squadron. SQNLDR Walter’s contribution to No. 33 Squadron’s training over the past seven years has been outstanding. His devotion to duty and diligent professionalism has been both exceptional and inspirational. Quite simply, without his exemplary leadership, selfless dedication, skilful management and outstanding ability 33SQN could not have conducted adequate training to maintain operational capability over the past seven years. Even in a crew of equals, each has his own strengths. Roger had a gift for training, to which his OAM citation attests. As a consummate instructor he was always able to add polish to an already accomplished pilot and who, whenever he was in command, did the same with the aeroplane. Who will ever forget his Longreach arrival on 10 June 2007, where Roger's master touch with XBA created an unforgettable flying display in a way not likely to be repeated in a 707 again. Tribute contributed by Norman King, Robert Phillips and Ron Cuskelly. Roger is remembered on ANZAC Day 2015 and always.